Kids Eat Free Tuesdays from 4-10pm with a paying adult. Denny's is America's diner. This is where guests have come for over 60 years now to sit back, relax and enjoy delicious, hearty meals 24/7, every day of the year. From breakfast anytime to satisfying lunches and dinners, if you're in the mood for it, chances are we're serving it. 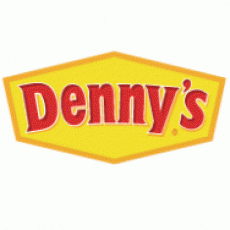 Denny's is always open, always welcoming and always serving up hearty diner food along with a mug of fresh hot coffee. So come on in anytime, park yourself in a comfortable booth, take a seat at the counter, whatever you want, because it won't take you long to understand why we're truly America's diner.